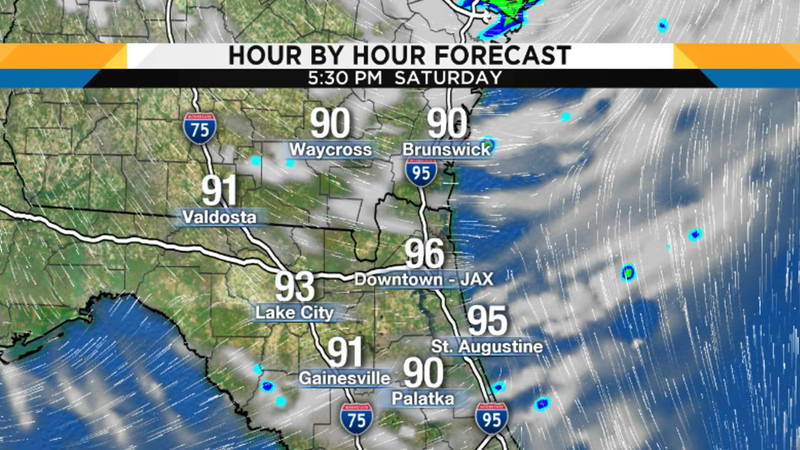 JACKSONVILLE, Fla. - Record breaking heat this weekend? The record high for Saturday is 96° and for Sunday, it's 97° which means we have a chance on Saturday but Sunday we will come up shy. But the tropical, high humidity air will be brutal, feel-like temperatures will reach to near 105° both afternoons, with the worst of the heat right around 4 pm. 96 is the record and we could get close to it Saturday. Saturday. 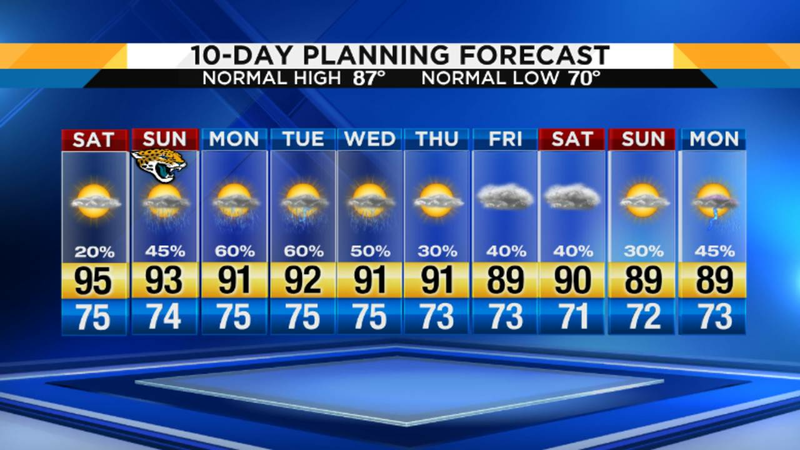 our hot and mostly dry weather continues. There is only a 20% chance for an isolated shower. 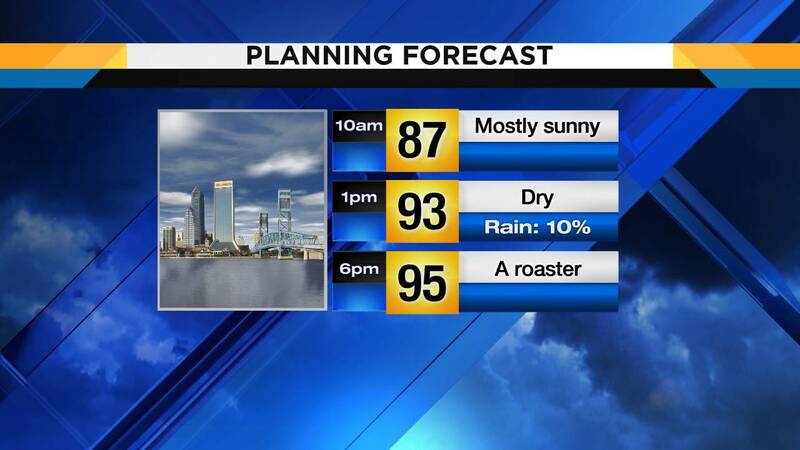 Afternoon highs will climb into the mid 90s under partly cloudy skies. Winds will be out of the West between 7-12 mph. Sunday moisture returns back into our forecast, Hopefully a few clouds (not rains/storms) will float over the stadium and give some shade. During the evening hours, chances of rain builds to 40% after 6 p.m. Expected high about 93°. Beach and Boating: Rip currents risks continue all weekend despite fading swell, surf fades to 2-3' by Sunday afternoon. Hot conditions all weekend too! Tropics update: With Florence drifting inland the tropics are about to become as quiet as a mouse. Let's pray it stays that way.